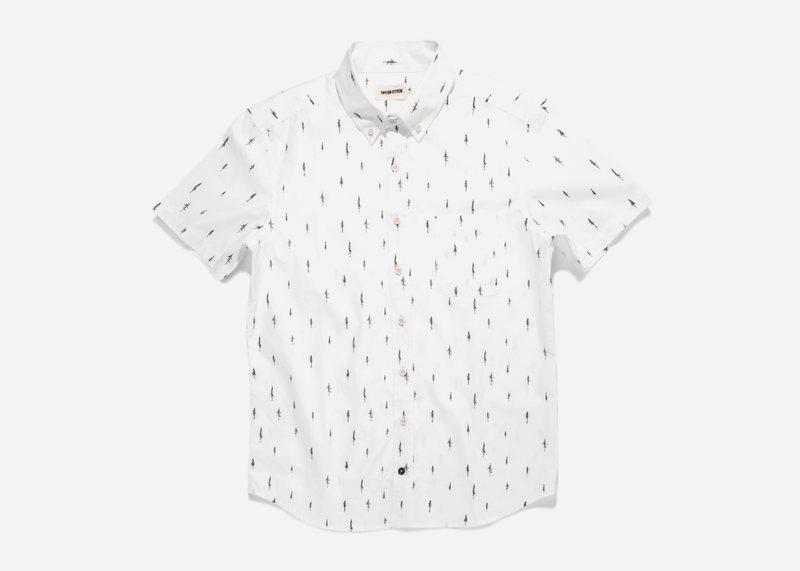 Short sleeve button-down shirts are a thorny proposition, sartorially speaking. 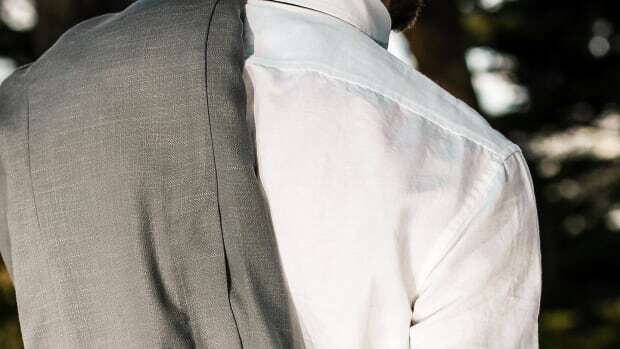 A warm-weather essential, while at first glance they never seem to have quite the same elegance as a long sleeve number with the sleeves rolled up, they are far more comfortable and have a laid-back style all their own which requires the perfect amount of panache to pull off properly. Which is where Taylor Stitch comes in. 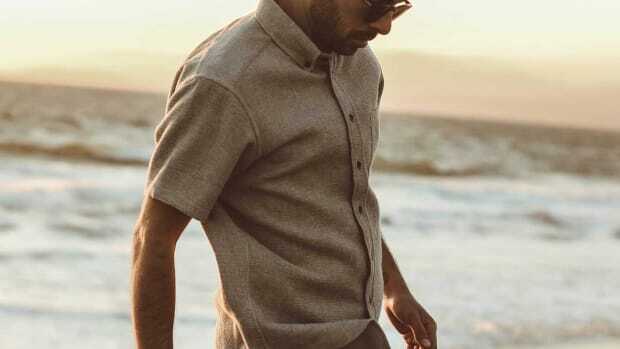 Short sleeve BDs in their best form are inherently Californian, and nobody interprets classic West Coast cool the way the S.F.-based style gurus do, with whom it is no mere marketing ploy but a way of life. 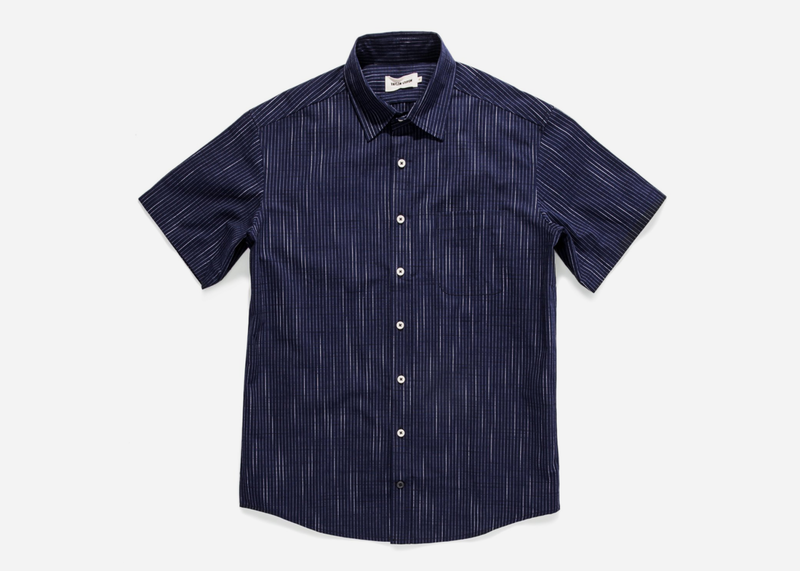 Hence their two new short sleeve offerings, which can easily hold their own with the rest of your well-curated wardrobe, available in two of their favored silhouettes, the Jack and the California. The new Jack goes boldly in a one-of-a-kind custom Tree Top Poplin print, developed by Taylor Stitch co-founder and creative director, Mikey Armenta. The name speaks for itself, and of course, its rendered in 100% organic cotton. The new California meanwhile in a navy slub stripe is equally appealing. Also in organic cotton of a slightly heavier weight, the 'slubby' finish of the fabric adds visual and textural interest, "giving it a leg-up on plainer poolside attire," as T.S. notes. Class: dismissed.